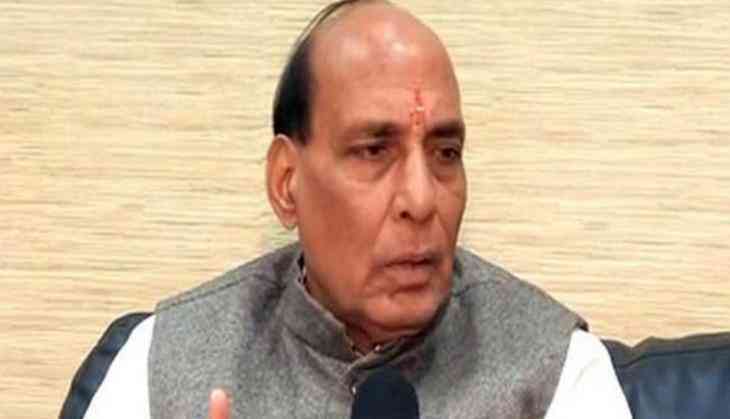 Union Home Minister Rajnath Singh on 5 June lauded the Indian Army for its 'alertness and unmatched courage' during the retaliatory fire by 45 Battalion Central Reserve Police Force (CRPF) and the Jammu and Kashmir Police (JKP) at Sumbal in Jammu and Kashmir 's Bandipora district. "Congratulate 45th battalion of CRPF in particular and entire force of CRPF and J&K police for their alertness and unmatched courage," the Home Minister's Office tweeted. The HMO further said that all brave officers and jawans posted at Sumbal camp need to be cited for their alertness and unmatched bravery. Earlier, the Jammu and Kashmir Police hailed the Indian Army for successfully foiling the militant attack and neutralizing four terrorists adding that efforts are on to indentify the terrorists and the organisation they belong to. "The terrorists were not local. They had come with an intention to create mayhem but fortunately our armed forces retaliated effectively. We are trying to identify who these terrorists were and which organisation they belonged to," Jammu and Kashmir Director General of Police (DGP) S. P. Vaid told media. Meanwhile, CRPF Director General R. R. Bhatnagar said that the terrorists were armed with automatic grenades and other weapons. "Their intention was to enter the camp and then cause huge damage. It was the alertness and bravery of our troops which stopped these terrorists from entering the campus. We were able to liquidate them without any losses on our side," he added. "The terrorists tried storming camp around 3:30 a.m. to execute a fidayeen attack. Four terrorists have been gunned down," Yogesh Kumar, Sub Inspector (CRPF) told media. The CRPF also confirmed about the neutralization of four militants on its Twitter handle while stating that CRPF and Sumbal Police successfully foiled fidayeen attack on army camp.